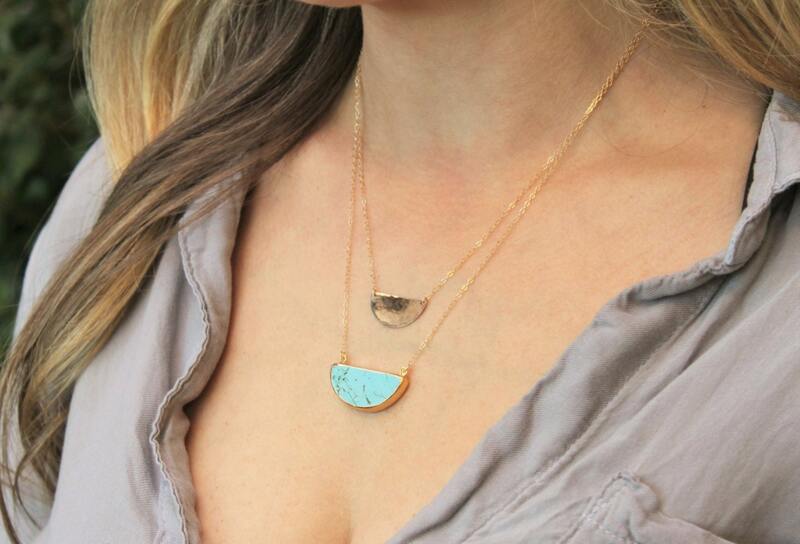 Our modern half moon is perfect with your favorite tee or little black dress. 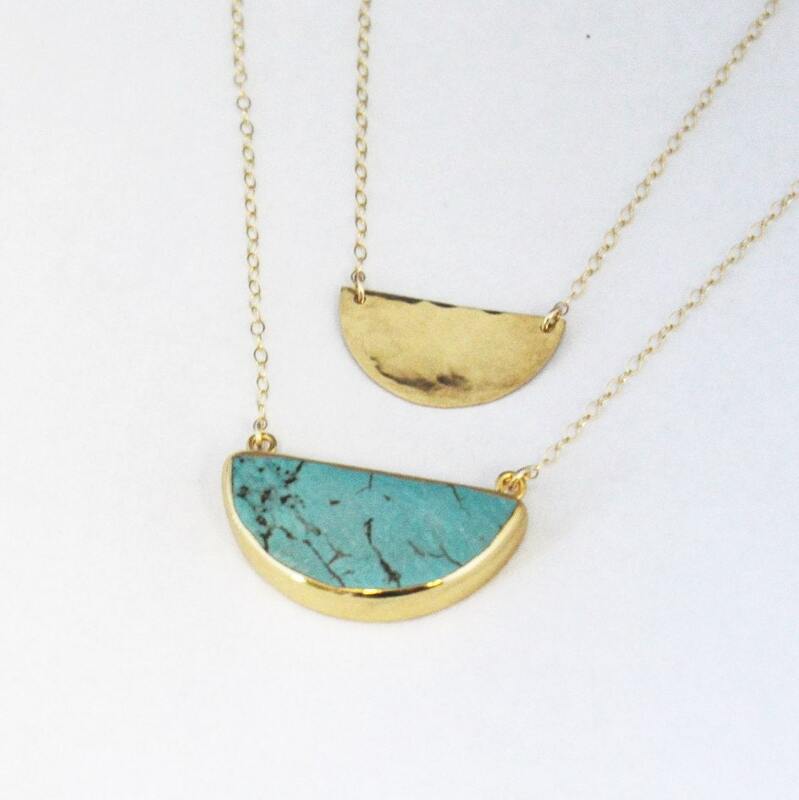 Choose the gold moon, turquoise moon or set of two and wear them layered. 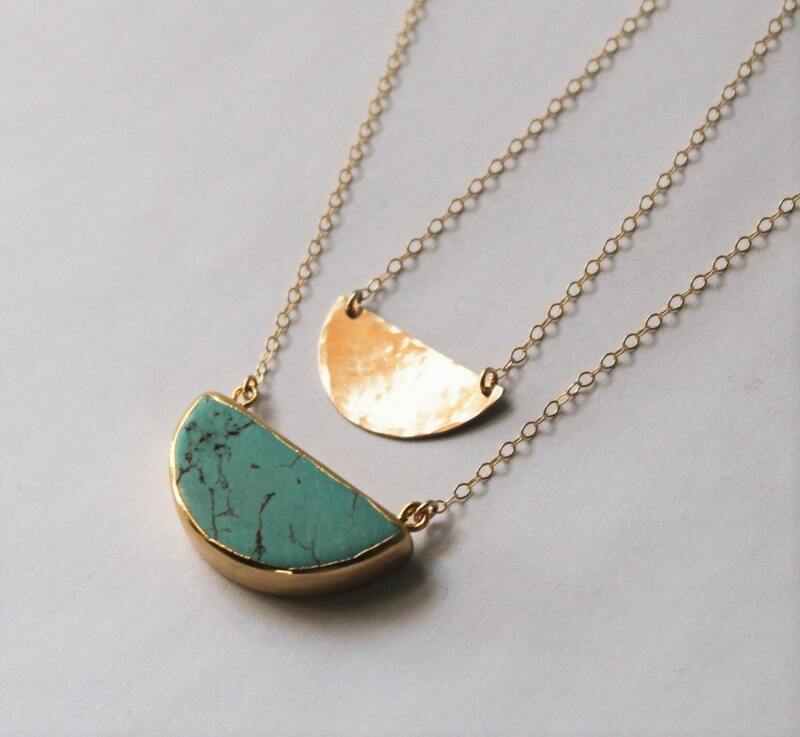 -Suspended in 14kt gold filled delicate link chain. -Moon is hammered only and cannot be personalized. -Choose 16, 18, 20 or 22 inches for a single necklace and 16-18, 18 -20, 20-22 inch option for the layered set, pictured in 18-20. 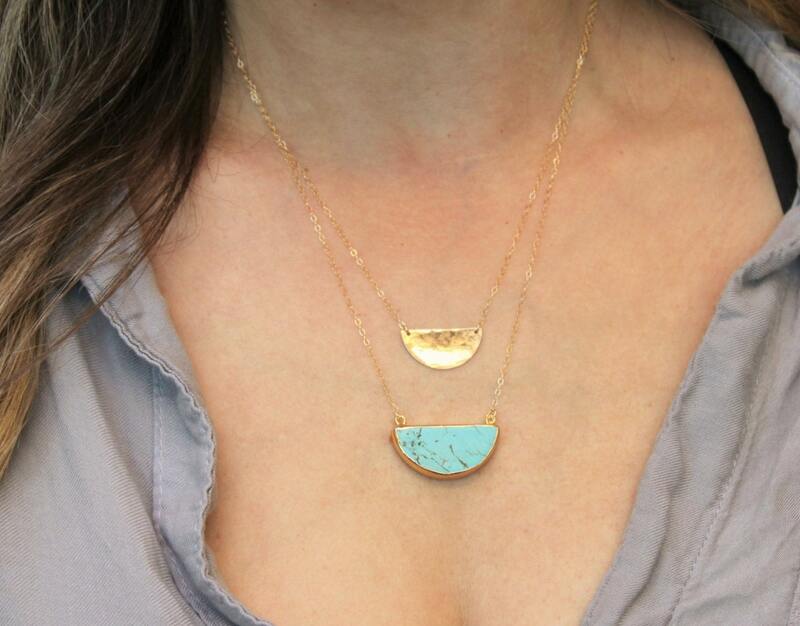 ➜These chains are NOT connected so you can wear them together, one at a time or with something else. Please note when wearing two necklaces at once the chains may twist. I am in love with this set! I ordered the 18" and 20" and they are perfect for v-neck and scoop neck tops. I also love that the chains are attached to the metal on each end so the clasps can't move around to the front. Thank you! LOVE my necklace! Seller was great to work with.